Info Francis Winston was a Republican at the end of the nineteenth century. However, he was dissatisfied with the presence of Negroes in the Fusion between the Republicans and the Populists. In the 1898 elections, Winston was a leader of the Red Shirt Campaingn, which stirred up racial hostility to return the Democratic Party to power in Raleigh. Winston was later elected Lt. 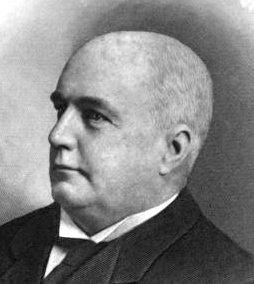 Governor and served 1905-9. Photo source: Samuel A. Ashe, "Biographical History of North Carolina from Colonial Times to the Present" (1906), vol. 2, p. 474.